BRAND NEW FLOORS IN LIVING ROOM, HALLWAY, BEDROOMS. 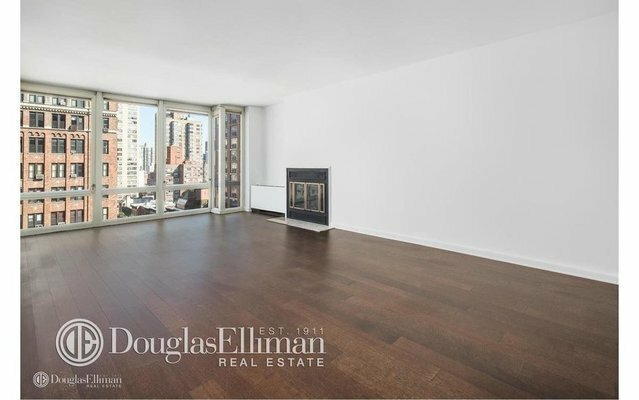 The elevator opens directly into this stunning 2 bed / 2 bath Park Avenue home which encompasses the entire 12th Floor of one of finest luxury boutique Condominiums. A gracious Foyer opens up into a spacious, bright living Room with a wood-burning fireplace. Admire views of the City, historic Park Avenue and graceful architecture of the church through Floor-to-Ceiling windows. This sophisticated, truly special apartment is approx. 1,250 SF and features a W\D, marble baths, bright eat in kitchen (seats 4 comfortably), two well-proportioned west facing bedrooms are tranquil and quiet including master with ensuite bathroom. 52 Park Ave is a Boutique 17 unit Condo with a part time doorman (7am-midnight), full time super, Video Security, Roof deck with Landmark City Views & a Children's Outdoor Play Area. Steps from Grand Central with fabulous eateries, shopping and cultural landmarks including the Morgan Library and Scandinavia House close by. Long term leases allowed.